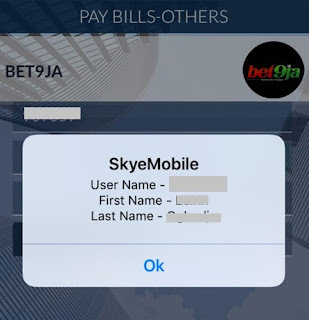 There is a ₦52.50 charge for deposits with this payment method. 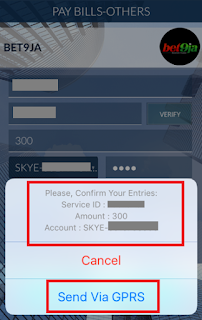 Step 1 Open the Skye Mobile app on your device, input your login details (phone number and password) and click “Login”. Step 2 Click on “Bill Payments”. 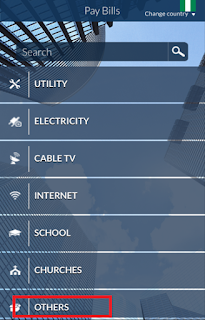 Step 3 Click on “Others”. Step 4 Click on the Bet9ja logo. 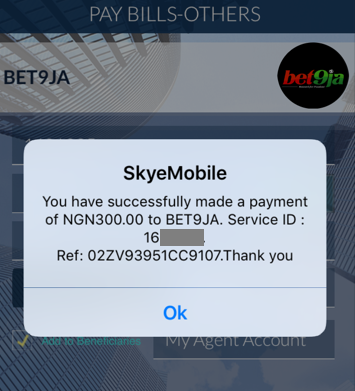 Step 5 Insert your Bet9ja UserID under “Service ID”. 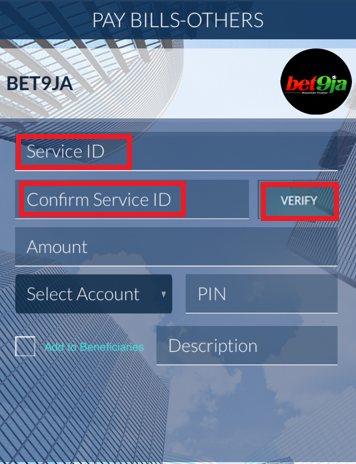 Your Bet9ja UserID can be found at the top right corner of the page when you login to your Bet9ja account. 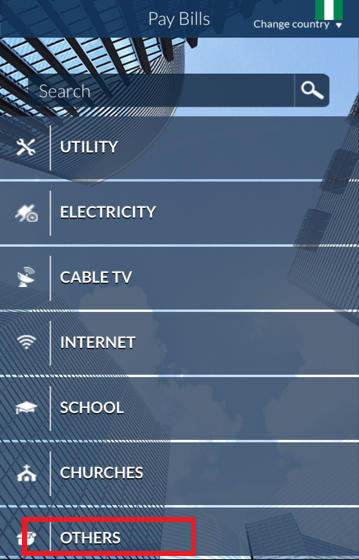 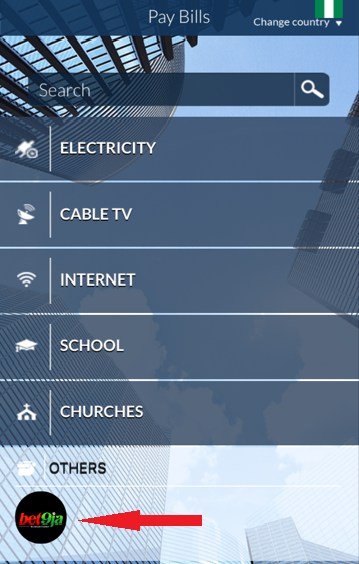 Step 6 Information attached to the Bet9ja UserID will be automatically populated. 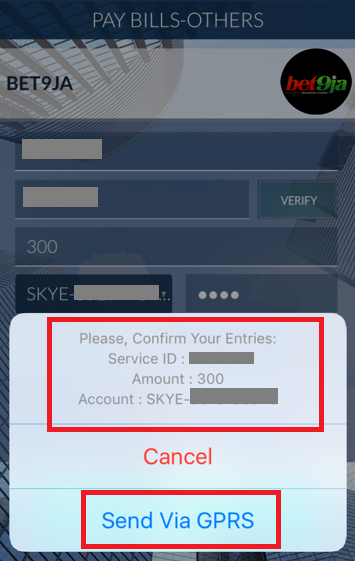 Kindly confirm and click “Ok”. 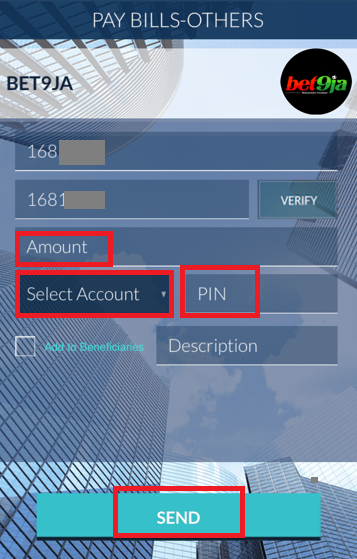 Step 7 Enter the amount that you would like to deposit under “Amount”. Select the account you wish to make the deposit from, then insert your Skype Mobile Banking PIN in the space provided. Click “Send”. 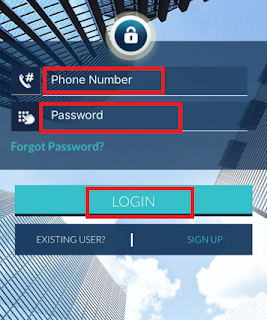 Step 8 Confirm your entries and click “Send Via GPRS”. 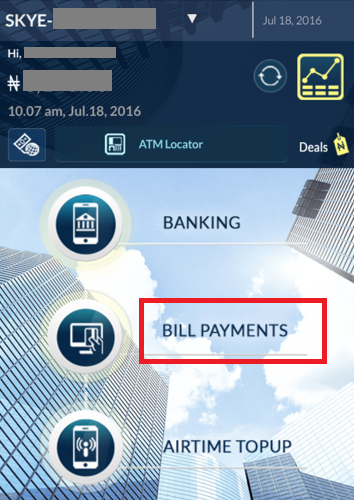 Step 9 Upon successful payment, you will receive a notification with your transaction reference displayed.